I will post some pictures as soon as I get a bit more done. It is too hot an humid today to work in the garden but it sure needs to have some weeds pulled! 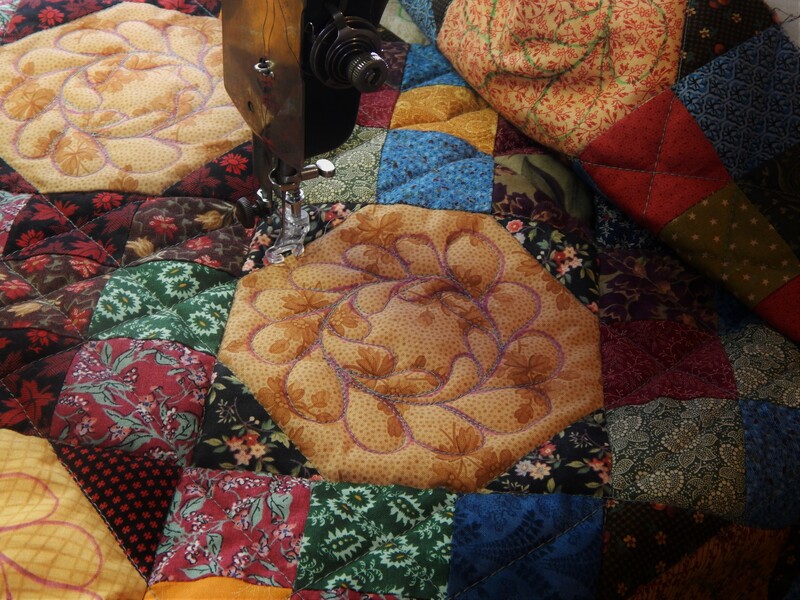 So looking forward to seeing your Tree quilt. I’m sure you will be producing another award winning masterpiece. I’ve left a comment for you on your “Contact Tim” space about sewing machine needles — let me know what you think. 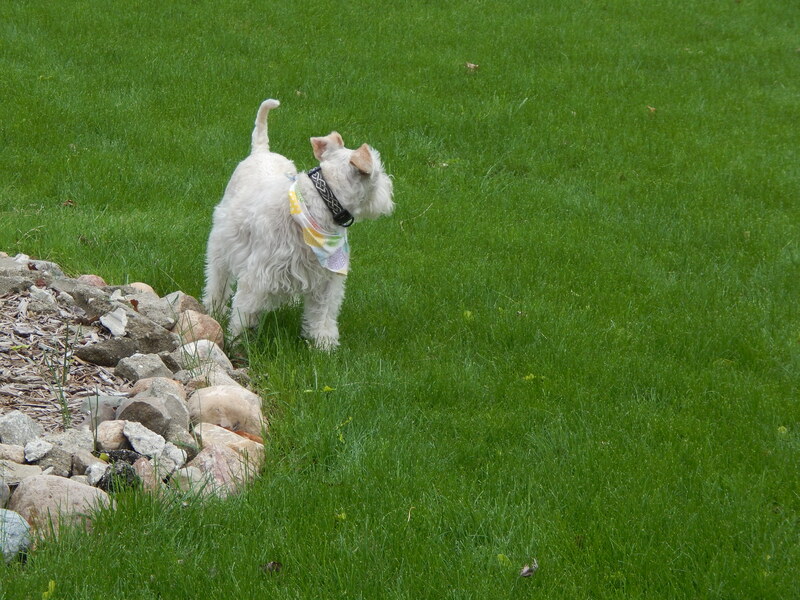 PS – I’m with Teddy on the weeding when it’s hot and humid – even without his fur coat! Been doing some tidy up in my sewing room. Have accumulated quite a few packages of sewing machine needles that I know I will not be using. Interested? LOve the tree. Love Teddy. He is smart to leave the weeding to you! Tim, Is that actually leather that you are quilting the feather on? 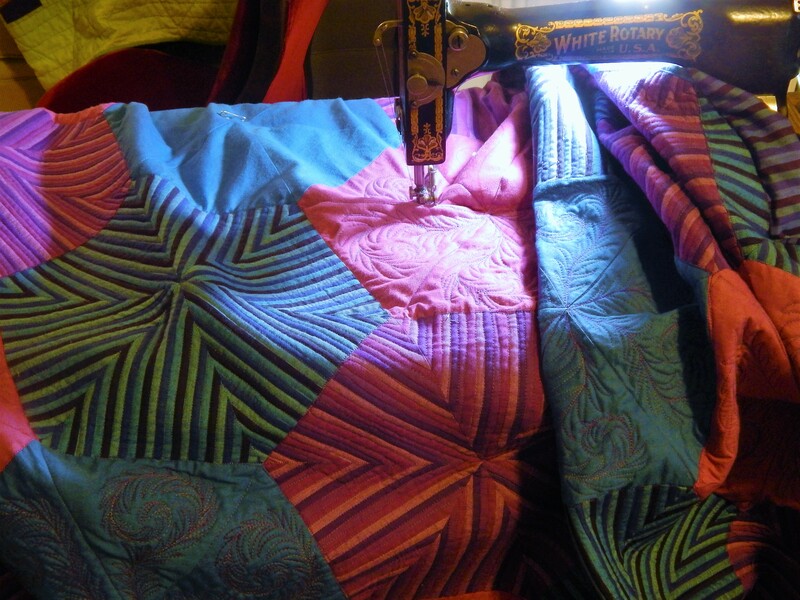 I am just beginning free motion quilting on my domestic machine. I just spent 1 1/2 hours weeding all the little grasses under my bird feeders, it is in the 60’s an not humid here. Thanks and have a wonderful day! 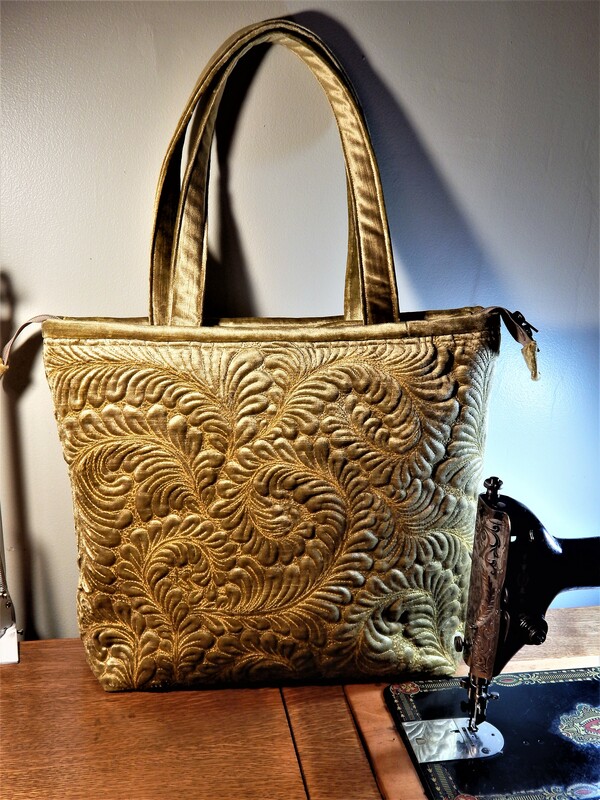 Several of the quilted bags in your older posts look like leather also. Where do you get your leather? How thick is it? Do you use a leather needle when quilting? 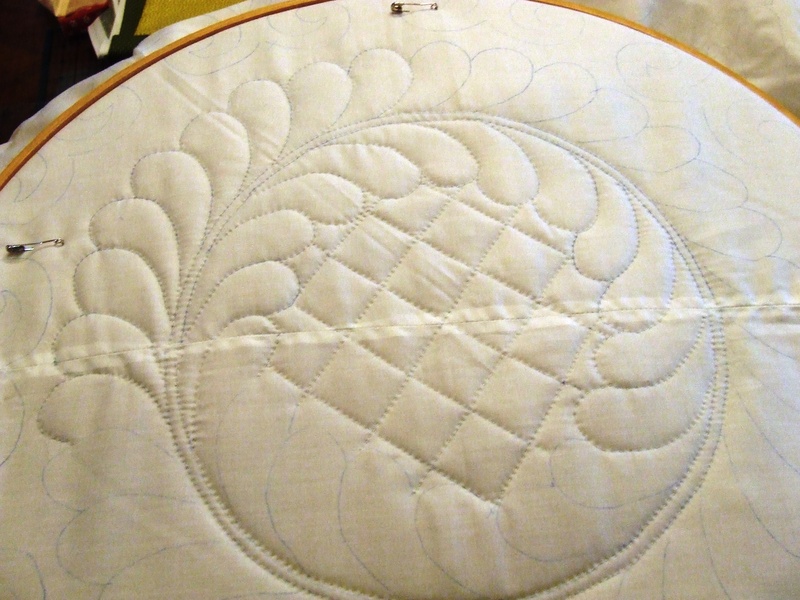 Have any trouble with needle or thread breakage? 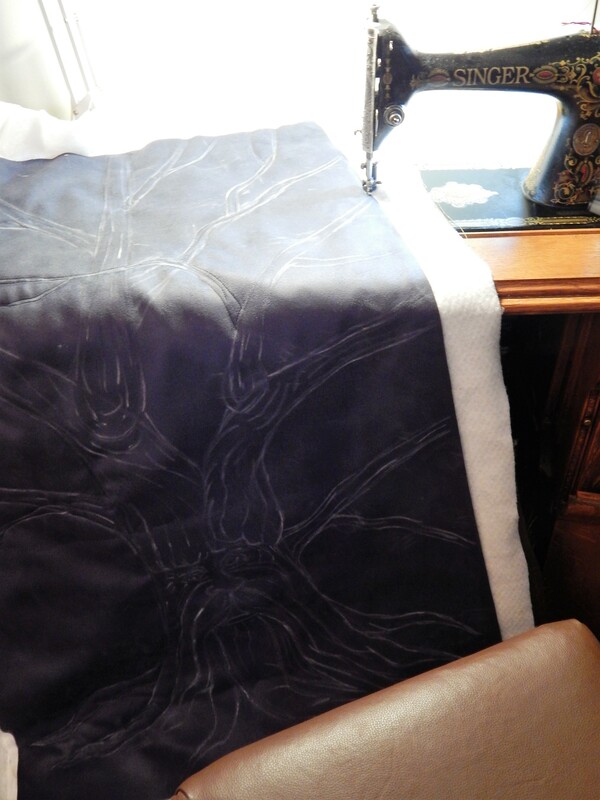 Sorry for all the questions but quilting on leather is intriguing.